Sometimes, it takes you ages to visit the eateries you’re most excited about… at least that’s my experience! The Bagelry has had its doors open in Liverpool‘s Chinatown for well over two years. Their menu, which is heavy on the vegan and vegetarian optionshas been calling to me for all that time. And yet, I somehow never managed to make it there! All that changed a few weeks ago, when a friend and I were trying to work out a convenient brunch spot. She’s from the states, so OBVIOUSLY bagels seemed like an excellent choice. Once we arrived and worked out which door to use (the one on the right, FYI), my first thought was “I can’t BELIEVE it’s taken me so long to come here”. 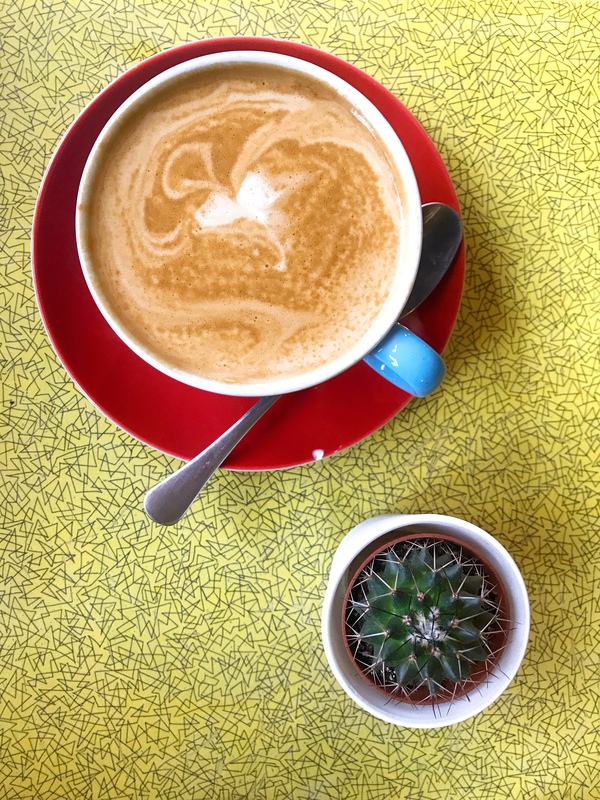 The whole place is right up my street, from the retro tables to the wooden counter to the toddler-friendly atmosphere, I think the Bagely might be my favourite place on earth. 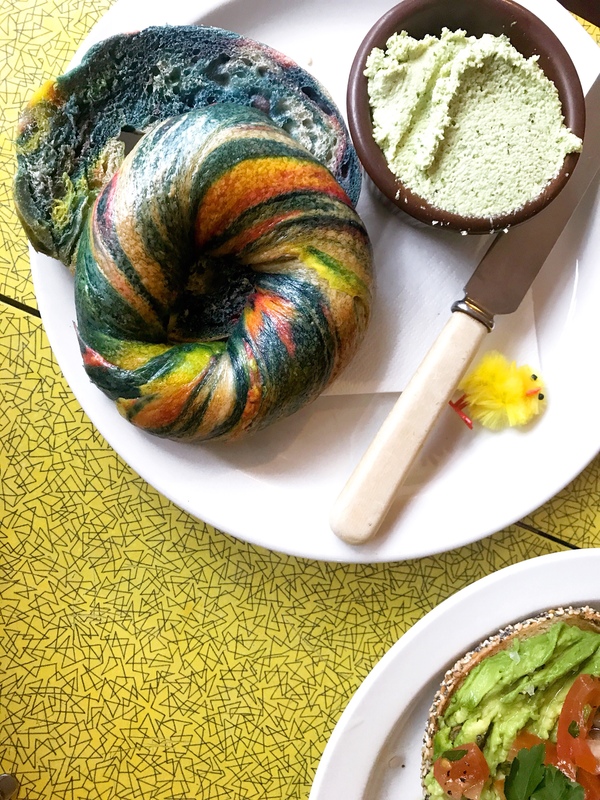 Apart from being super-cute, the Bagelry also has an excessively vegan-friendly menu. 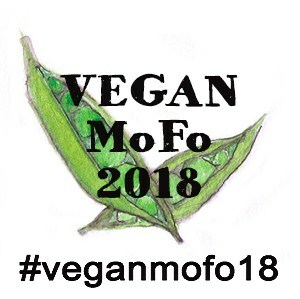 I was a bit disappointed to see that they had moved from their all-vegetarian menu to including meat (what is UP with restaurants in Liverpool doing that at the moment!?). However, they still have a whole load of options, including vegan doughnuts, vegan pancakes and homemade vegan cream cheeses and flavoured butters, so I can’t really complain. 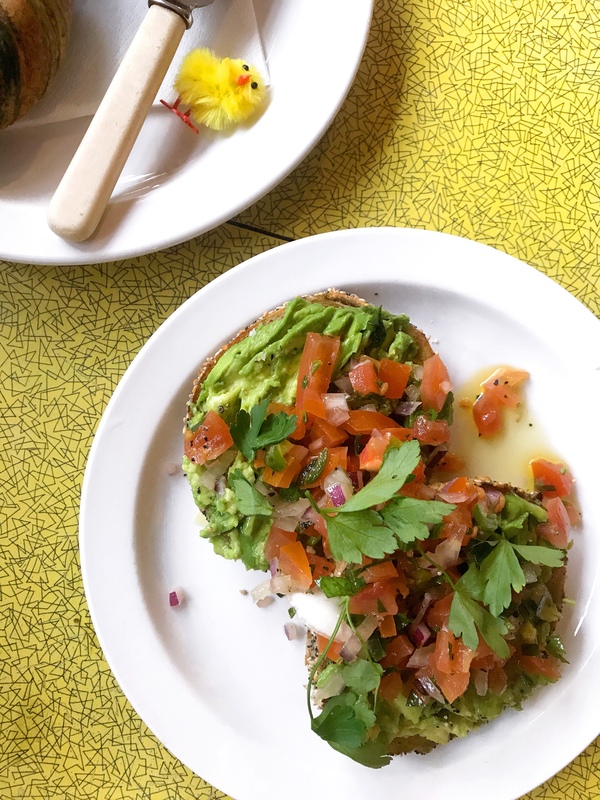 I was also delighted to see that they offer oat milk, which has been a recent favourite of mine, and Isla and I ordered an oat latte and an oat hot chocolate respectively, followed by a cream cheese rainbow bagel and a rye bagel with avocado and salsa. 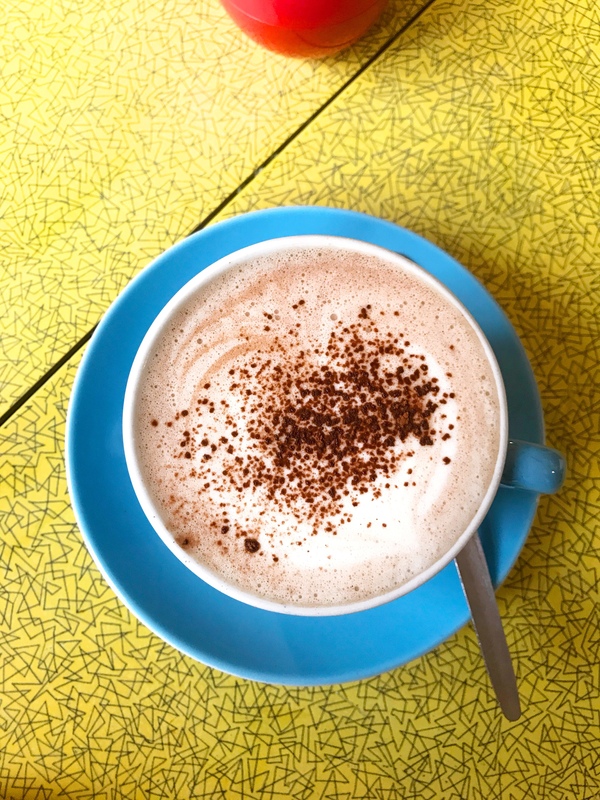 The staff were wonderfully accommodating, making Isla’s hot chocolate in a smaller cup so she could hold it better and then mopping up after me after I spilled what was almost a full cup of coffee over our table (#facepalm, Hannah) with smiles and all-round friendliness. PS – if you head to the Bagelry first thing in the morning, they sell the previous day’s leftovers for a really reasonable price – take them home, toast them, and enjoy! Need inspiration? I’ve written up some bagel filling suggestions HERE!